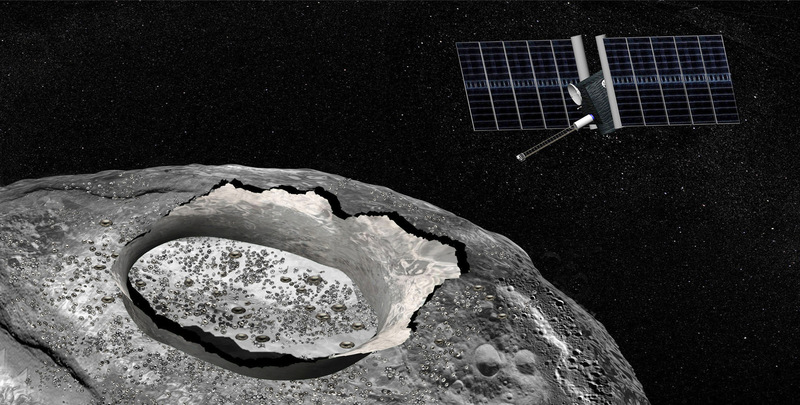 Artist’s concept of the Psyche spacecraft, a proposed mission for NASA’s Discovery program that would conduct a direct exploration of the 186-mile-wide nickel-iron asteroid 16 Psyche thought to be a stripped planetary core. Image credit: NASA/JPL-Caltech. 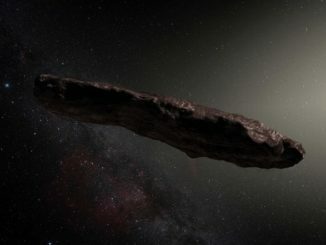 Astronomers have discovered possible evidence for water on the surface of the largest metallic asteroid in the solar system. 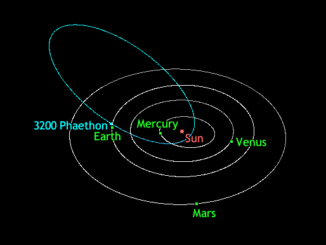 Named 16 Psyche, the object is one of the most massive in the asteroid belt, measuring 186 miles (300 kilometres) across and consisting of almost pure nickel-iron metal. It is thought to be the remnant core of a planetary embryo that was mostly destroyed by impacts billions of years ago. The findings are interesting in the context of a proposed $500 million mission to send a spacecraft to Psyche, currently under review by NASA. Images taken by a spacecraft orbiting Psyche may enable us to distinguish between water and hydroxyl on the surface. While the source of this water on Psyche remains a mystery, Reddy and his colleagues propose two possible mechanisms for its formation. 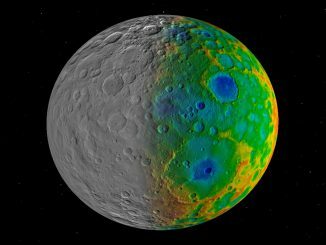 “We think the water we see on Psyche might have been delivered to its surface by carbonaceous asteroids that impacted Psyche in the distant past,” says Reddy. “Our discovery of carbon and water on an asteroid that isn’t supposed to have those compounds supports the notion that these building blocks of life could have been delivered to our Earth early in the history of our solar system,” said Reddy, who discovered similar dark, carbonaceous impactors rich in volatiles on the surface of asteroid Vesta by studying images from NASA’s Dawn mission. Alternatively, the hydroxyl could be the product of solar wind interacting with silicate minerals on Psyche’s surface. To further explore the hypothesis of carbon and water delivered to protoplanetary bodies by asteroids in the early solar system, the UA is leading NASA’s OSIRIS-REx mission to bring back a sample from carbonaceous asteroid 101955 Bennu in 2023.